The 25th annual Martin Luther King Breakfast Celebration is scheduled for 7:45 a.m. on Monday, Jan. 15 at Ohio Wesleyan University. Bishop Lawrence Reddick III of the Christian Methodist Episcopal Church will be the guest speaker. Indivdual tickets cost $20 each. The deadline to reserve tickets is Jan. 5. The breakfast will be held in the Benes Room at the Hamilton-Williams Campus Center. For ticket information, contact Susanna Long at 740-203-3084 or sslong@owu.edu. Main Street Delaware’s January First Friday is planned for Jan. 5. The theme for the event is FREE-ze Fest. Participating downtown Delaware businesses will be offering free events, make and take crafts, shows, entertainment, and samples. To see the list of participating vendors, go to www.mainstreetdelaware.com. For information, email director@mainstreetdelaware.com​ or call at 740-362-6050. Preservation Parks presents Owl Prowl at 6:30 p.m. on Friday, Jan. 5 at Emily Traphagen Park, 5094 Seldom Seen Road, Powell. Birding enthusiasts and beginners alike are invited to join a naturalist on this owl-centered night hike. Hikers will learn what makes owls perfectly suited for the night, and hopefully see some owls as well. Admission is free. Open to ages 7 and older. For information, go to www.preservationparks.com. Preservation Parks presents Winter Wings Trivia Walk from noon to 4 p.m. on Sunday, Jan. 7 at Deer Haven Park, 4183 Liberty Road. The whole family will enjoy this self-guided hike and the nature trivia questions encountered along the way. Hikers can stop into the Visitor Center beforehand to get an answer sheet and afterwards to get a prize. Admission is free. Open to all ages. For information, go to www.preservationparks.com. The Tween Book Buzz (geared to readers ages 8 to 12) is scheduled from 6:30 to 7:30 p.m. on Monday, Jan. 8 at the Orange Branch Library. Penguin Random House representative Amanda Fensch will talk about new and upcoming titles from the world’s largest publishing house. Advanced reader copies of books and other prize giveaways will be up for grabs. The Orange Branch Library is located at 7171 Gooding Boulevard, Delaware. For information, call 740-549-2665 or go to www.delawarelibrary.org and click on Events. Showtimes for Friday, Jan. 5 through Thursday, Jan. 11. Star Wars: The Last Jedi (PG-13): Friday, 5 p.m., 8:30 p.m.; Saturday, 2 p.m., 5:30 p.m., 9 p.m.; Sunday, 1 p.m., 4:30 p.m., 8 p.m.; Monday-Thursday, 4 p.m., 7:30 p.m.
Jumanji: Welcome to the Jungle (PG-13): Friday, 5:15 p.m., 8:15 p.m.; Saturday, 2:15 p.m., 5:15 p.m., 8:15 p.m.; Sunday, 1:15 p.m., 4:15 p.m., 7:15 p.m.; Monday-Thursday, 4:15 p.m., 7:15 p.m. The Greatest Showman (PG): Friday, 5:30 p.m., 8:30 p.m.; Saturday, 2:30 p.m., 5:30 p.m., 8:30 p.m.; Monday-Thursday, 4:30 p.m., 7:30 p.m.
For information, go to thestrandtheatre.net. The Strand Theatre is located at 28 E. Winter St., Delaware. Wornstaff Memorial Public Library Trustees will hold their organizational/regular meeting at 7 p.m. on Tuesday, Jan. 8, 2018. All regular monthly meetings will be held the second Monday of each month at 7:30 p.m. All meetings are held at the library at 302 E. High Street, Ashley. Oxford Township Trustees will hold an organizational/regular meeting at 8 p.m. on Tuesday, Jan. 9, 2018. The meeting will be held at 5125 Shoemaker Road, Ashley. The Friends of the Library pop-up book sale is planned from 9 a.m. to 4 p.m. on Saturday, Jan. 20 at the Orange Branch Library. The Orange Branch Library is located at 7171 Gooding Boulevard, Delaware. For information about the Friends of the Library, go to www.delawarelibraryfriends.org. The Olentangy Local School District’s kindergarten registration for the 2018-19 school year will begin Tuesday, Jan. 16, 2018. For information, go to www.olentangy.k12.oh.us or call the New Student Welcome Center at 740-657-4030 or 740-657-4033. The New Student Welcome Center is open 8 a.m. to 4 p.m. Monday through Friday. Preservation Parks presents Drop in Discovery: Marvelous Mammals on Saturday, Jan. 13-14 from noon to 4 p.m. at Deer Haven Park 4183 Liberty Road, Delaware. This weekend, visitors to the Deer Haven Visitor Center will be able to discover some marvelous mammals. Refreshments will be available and there will be a take-home craft. Admission is free. Open to all ages. For information, go to www.preservationparks.com. Preservation Parks presents Story Time in the Park at 10 a.m. on Monday, Jan. 15 at Deer Haven Park, 4183 Liberty Road, Delaware. Children ages 3 and younger are invited to join staff from the Delaware County District Library as they read “The Mitten,” then take part in an activity or craft. Admission is free. Children must be accompanied by an adult. For information, go to www.preservationparks.com. The Delaware County Engineer reports that the closure on Moody Road between Olive Green Road and Peerless Road will be delayed. The current bridge replacement project was scheduled to open on Dec. 29, 2017, but will be delayed to Jan. 12, 2018 due to the weather. For information, contact the engineer’s office at 740-833-2400. 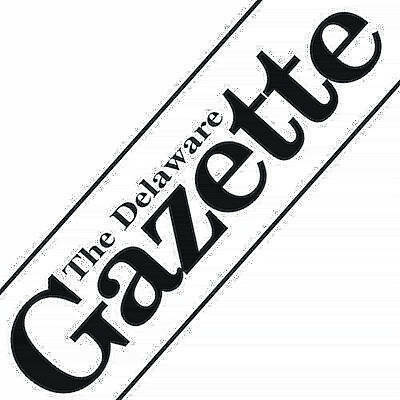 Email local news items to delnews@aimmediamidwest.com.